You couldn’t ask for a better location - waterfront and literally minutes walk away from everywhere. Look out of the lounge or master bedroom onto the ever changing Pilot Bay harbour vista and watch the cruise ships and yachts go by. Easy to carry water sports gear to the beach, very close to a boat ramp, the Mount or amenities. Enjoy the sunsets from the lounge and the convenience of your own entrance, easy parking and no-hassle set-up. Just step over the road to the board walk and calm harbour waters or take a walk around the Mount or even up to the top for some stunning views. Dine out at one of the more than 50 cafes and restaurants and stroll home along the boardwalk. This is not a new modern apartment, rather it is one of the first in the area. It is a quaint, spacious, first floor unit with a real art deco feel. It comes fully equipped with all kitchen appliances, cutlery, crockery, etc and all linen and bathroom towels are provided. This is one of two flats available for holiday stays in a block of four, the other being on the first floor - see #29670 Rent one or convince friends or family to go on holiday with you and rent them both so that you each can enjoy your own space but also spend time together. Mount Maunganui is a fabulous holiday destination and base for exploring further afield. The city of Tauranga only 10 mins drive away and Rotorua with all its myriad of tourist attractions an easy 50mins commute. While Lake Taupo and Waitomo glow worm caves could be visited in a day trip. Breakfast by the ocean, tour during the day, and arrive home to relax with a quiet dinner watching the sunset, or an evening enjoying Sky movies, sport or catching up on the news of the world. The are many options - the choice is yours! We are flexible so if you have special requests, don't hesitate to email. 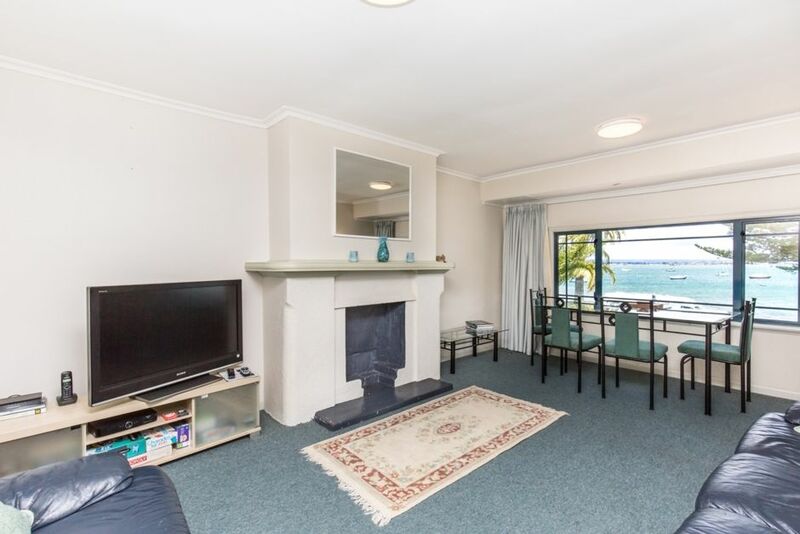 Lastly, if you're ever in Queenstown have a look at our centrally located lake view home see #36377. You wont be disappointed! My wife and I have stayed at the Mereden, Pilot Bay, before. We enjoyed this visit as much as the previous one. It is a lovely location. The only thing that is less than perfect, is that the fittings of the bathroom and Kitchen in the Mereden unit, are a bit old and simple. Needs to be updated. And as the property is for sale, we expect that redevelopment might well take place quite soon. Fantastic location on Pilot Bay and flat just as described. Flat clean and tidy and stocked with everything we needed. Great view over the beach and Mount. Short walk to cafes and shops, and even shorter walk to both Pilot bay and main ocean beach. So much to do. Would love to come back for more! Lovely character apartment, with good facilities in such a great spot for beach and walking activities. Old style apartment in a prime position. Great property for a waterfront getaway. Neat, clean & tidy.